Empact Vetures is delighted to announce it is an Innovation Partner of the I-COM Data Startup Challenge 2017. Never before has there been such a curiosity and need for large global enterprises to understand and invest in the latest approaches and technologies that are on the horizon. Now in its 5th edition, the I-COM Data Startup Challenge enables the ‘best and the brightest’ data startups from around the World to showcase their work and abilities. 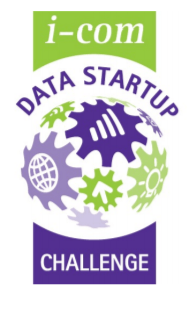 The I-COM Data Startup Challenge is the leading Awards competition for Startups who leverage value from Marketing Data & Measurement as the central selling point of their product or services. Entry Deadline: January 31st, 2017. 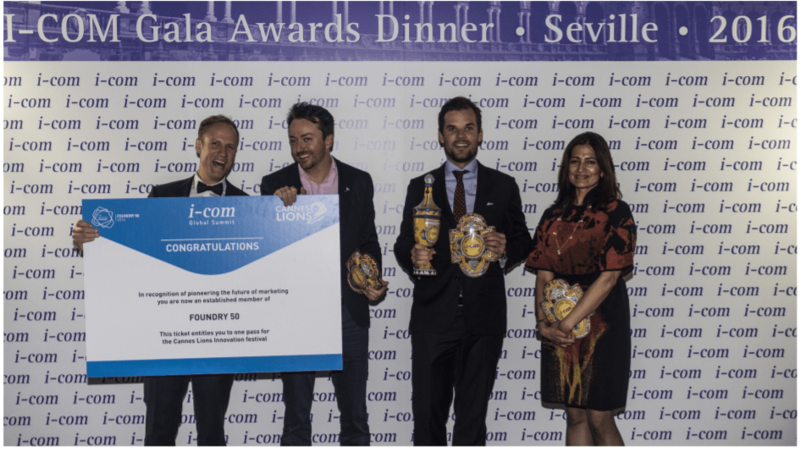 Founded in 2004 as a spin-off of a P&G led industry initiative, I-COM is aimed at helping its members achieving competitive advantage in Smart Data Marketing. Backed by 100 associations in 40 countries, today, I-COM is a Global trade body exploring the creation of business value from Marketing Data & Measurement. The I-COM community is comprised of the largest international group of industry leaders on the forefront of Smart Data Marketing. Entrepreneur Andrew Jervis is bringing the car repair industry into the 21st century with the launch of ClickMechanic, ‘the Uber for mechanics. Likened to the ‘Uber of the car repair industry’, ClickMechanic was founded in 2012 in a bid to bring the industry into the 21st century. The website provides a platform for car owners to search for quotes for car repairs and book an appointment either at home or at garages across the UK. While running a previous car parts aggregator business, entrepreneur Andrew Jervis found there was a problem with many customers not trusting their mechanics. After further investigation and a chat with his mechanic brother he realised there was just no easy way to book a trusted mechanic. Andrew decided to study a research masters in Manchester where he devoted himself to understanding these problems better. After writing an 85,000-word thesis on the space he moved to London to join accelerator Entrepreneur First where he met Felix who had identified the same problems. The pair decided to team up and develop ClickMechanic. Andrew told BQ: “ClickMechanic is an online marketplace for car repair. “We’re bringing transparency, trust and convenience to the automotive repair industry through our industry standard quote system. “I think our core USP is our ability to get an online industry standard quote online in just two minutes and then quickly book in with one of our vetted mechanics. Andrew and Felix went on to graduate from the popular pre-accelerator in London, Entrepreneur First and recently raised £330,000 from leading investors led by the former CEO of Just Eat. Since its launch in 2013, the company has gone from strength-to-strength employing 15 members of staff and undertaking millions of pounds worth of repairs each year. And Andrew has ambitious plans for the company. He added: “We launched in 2013 and in our first 18 months we grew rapidly averaging over 20% month-on-month growth. “The last couple of years we have been doubling in size and we shall be maintaining this target going forward. First published through our media partner Business Quarter on 03/11/2016 here and ClickMechanic.com is part of the Empact Ventures Growth Studio. ClickMechanic was first conceived after Andrew Jervis identified a lack of trust in the relationships between mechanics and their customers, with no easy way of booking a car service online. Using his background in the automotive parts industry, Jervis set his sights on creating an online marketplace where people could book a car mechanic in the easiest and most transparent way. Through its innovative quoting functionality, ClickMechanic now matches up thousands of customers each month with professional local mechanics. The platform offers an simple booking system with an online diagnostics inspection that has yet to be rivalled in the tech space. Business Advice caught up with Jervis to find out more about how ClickMechanic became a market leader in car services, his business inspirations, and his hopes for the future. I am Andrew Jervis, co-founder and CEO of ClickMechanic. We’re bringing trust, transparency and convenience to auto-repairs through our online marketplace. We were officially founded in 2012, coming out of a McKinsey & Company startup accelerator called Entrepreneur First. We take a percentage from every booking we receive as commission. Getting a repair with ClickMechanic is so easy and gives instant peace of mind – you’re getting an honest deal and a great mechanic. We allow customers to get an instant online industry-standard quote in just one minute, using our state of the art quote engine that uses millions of data points – the first of its kind in Europe. Once receiving a quote, the user can quickly book-in online and have one of our vetted 900 mechanics come and take care of their vehicle. Prior to starting ClickMechanic I previously had an online automotive parts business, which I sold. This led me onto undertaking a research masters at the University of Manchester, where I investigated a lot of the issues that existed in the automotive repair space, and looked at a number of models that could help alleviate these. I then moved down to London, where I met my co-founder and our chief technology officer, and we kicked things off from there. Delivering a real game-changing product that is honestly changing peoples lives when it comes to automotive repairs. We’ve also built an awesome team, and these things combined together have helped us grow at a very healthy rate. There a numerous set-backs when building a company, from having cash flow issues, to seeing particular deals not quite come-off, to huge product deployments getting delayed by months – you just have to keep fighting through them. The key is to stay focused and work hard to overcome these set-backs. That’s a tricky question. We have a very clear two-year plan of where we want to take the business, then we’ll review the next three years from there. When starting out you have to have the mindset that you could be working on this business for five to ten years before really turning it into a success. Successful businesses are not built overnight and require a lot of hard work and determination to turn into a reality. All those people out there who are grafting hard every day trying to make their dream a reality. It’s not easy, and anyone who works hard and has the will power to keep going through various set-backs deserves a lot of credit. First published through businessadvice.co.uk on 10/11/2016 here and ClickMechanic.com is part of the Empact Ventures Growth Studio.